Lorelei lies at the bottom of a spiral staircase. I walked down and entered through the door. As soon as I entered the owner let out a scream and ran towards me. I stopped, put on a big smile. As she reached me she gave me a big hug. Just the sort of welcome I love. 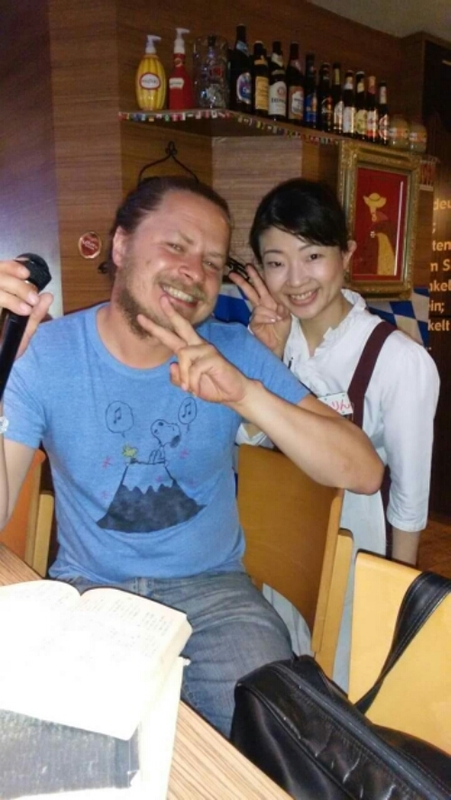 This entry was posted in Japan and tagged beer, ginza, karaoke, lorelei, pub, tokyo on November 26, 2015 by Traveltorgeir. As we got off the boat we took a route different from most people. We did not feel like walking in a crowd, we took a path following the water rather than cutting straight across the island. 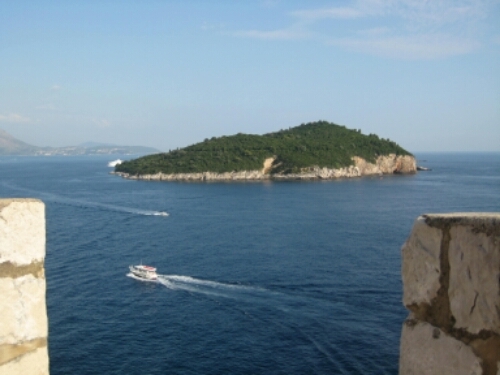 This entry was posted in Croatia and tagged Dubrovnik, Lokrum, Richard Lionheart on November 24, 2015 by Traveltorgeir. 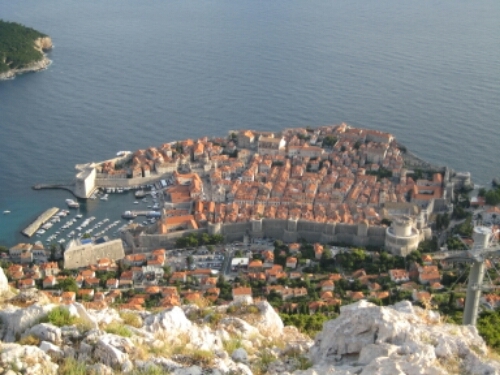 Dubrovnik was for a long time known as Ragusa, and was an independent republic. For over 500 years the Republic of Ragusa defended its independency, in many ways thanks to the massive walls surrounding the city. This entry was posted in Croatia, history and tagged Dubrovnik, UNESCO, Walls on November 19, 2015 by Traveltorgeir. 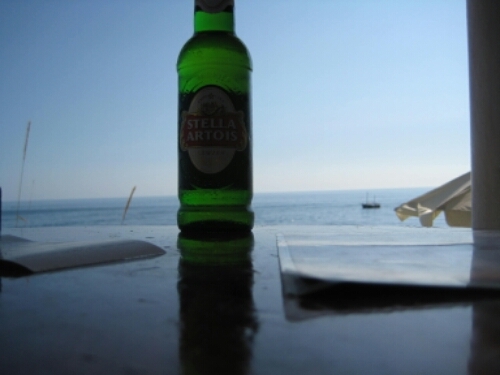 I find a seat at a table with a great view of the ocean. Blue water as far as you can see, only interrupted by a passing boat every now and then. Across the water is Italy, but too far away to be seen. This entry was posted in Croatia and tagged cruise ship, Dubrovnik, tourism, UNESCO on November 17, 2015 by Traveltorgeir. We only had a few hours in Osaka, my friend was in Japan for only five days, our schedule was busy. 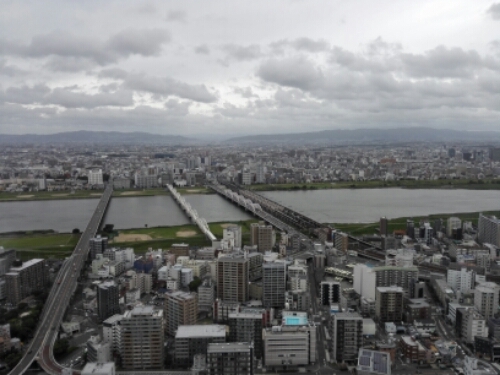 We thought seeing Osaka from above would be great, and Umeda Sky Building was only a short walk from out hotel. This entry was posted in Japan and tagged Kita, Osaka, Umeda Sky Building on November 10, 2015 by Traveltorgeir. The following episode happened on a flight from Trondheim Airport Værnes to Oslo Airport Gardermoen in March 2015. The winter in Norway can be quite a winter. You can get -20 degrees centigrade or a meter of snow during a day. Winds can be quite strong, rain can quickly turn to hail. Flying in Norway demands quite a lot from the pilot. Or the personell in charge of keeping the runway free from snow. This entry was posted in England, Norway and tagged delays, flying, Gardermoen, London, weather on November 5, 2015 by Traveltorgeir.